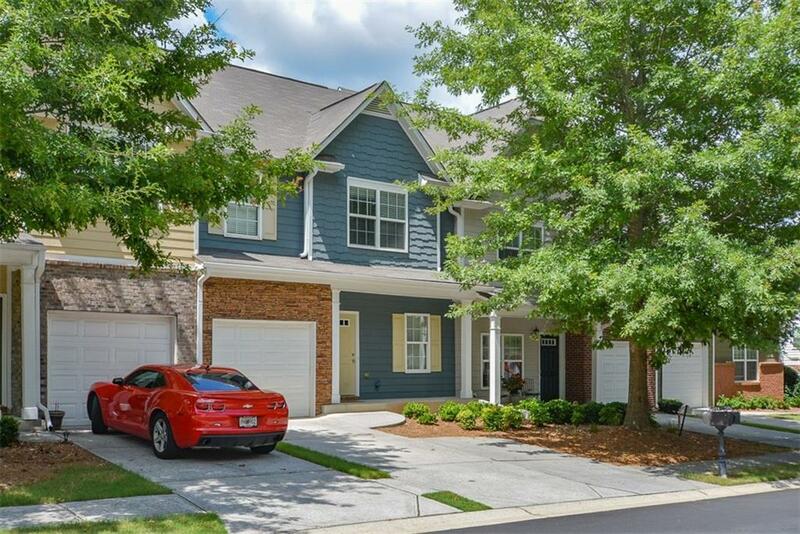 Much larger than it looks!This townhouse offers master on the main. New interior paint & carpet throughout. Two large secondary upstairs bedrooms share tile bath. Great loft area for office. Large vaulted family room open to kitchen. New HVAC's. Professionally finished basement with large media room, spacious bedroom & full bath. Large laundry room with plenty of storage.Top school district, Etowah High School, Cherokee County. Resort style amenities offers clubhouse, Jr Olympic pool, tennis courts, basketball and beach volleyball courts, & large lake stocked with fish. Directions: I-75 North To Exit 273, Wade Green, Turn Right. Left Onto Hwy 92. Left On Priest Road. Left Onto Centennial Lake Pkwy. Right On Madison Ave. Left On Franklin Lane. Home On Right.